Train with the BEST and become the BEST! Are you a fitness fanatic who’s passionate about healthy living? DW Fitness First are looking for people like you! Following their acquisition of Fitness First, ‘DW Fitness First’ are now recognised as the UK’s second largest gym operator with 120 gyms up and down the country. To meet the increased demand for their personal training services, they are on the search for highly driven fitness enthusiasts who want to build a career as a PT. 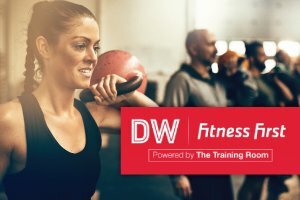 DW Fitness First are working with The Training Room who will provide the training you need to achieve an internationally recognised Active IQ L3 Personal Training Diploma. All successful graduates of The Training Room course will be guaranteed interviews for available opportunities within clubs across the UK. DW Fitness First have recently released their PT52 initiative, designed to be the perfect platform for individuals starting a new career in fitness. More reasons to choose DW Fitness First? Why stay in a job you hate, when you could have the career you’ve always wanted in as little as 5 weeks? CLICK SEND ME MORE DETAILS to find out more about this incredible opportunity! We’ll be in touch and answer any questions you may have. This is a self-employed role with a minimum 15hrs weekly gym-floor service requirement for the PT52 module. Founded in 2006 as a way of bridging the gap between businesses and industry ready, qualified professionals, The Training Room have spent much of the last 12 years developing a reputation which has seen them become a UK leading qualifications provider across the Fitness and IT industries. More recently, they have expanded into Health and Social Work and Hospitality training. Their ability to help people become qualified in an industry they are passionate about, has allowed for thousands of people to realise their potential and find their dream job, this in turn has resulted in businesses not only having qualified staff, but employees who love what they do. The Training Room, who pride themselves on delivering internationally recognised courses and qualifications, are dedicated to helping their graduates gain employment following successful completion of their courses and have partnered with some of the most highly regarded leaders in their respective sectors to guarantee interviews once qualified. 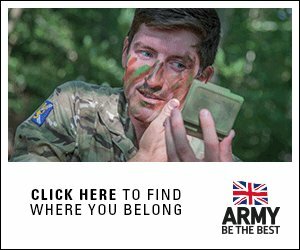 The Training Room make it their mission to support and encourage their candidates, so they have the best possible start on their new career path.